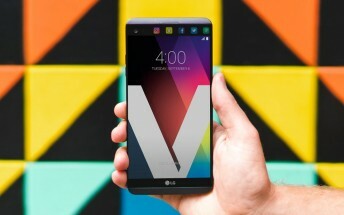 If you are an LG fan in the US, and are in the market for a flagship smartphone, you might want to checkout the deal retailer B&H is offering: pay only $499.99 for a bundle containing the LG V20 and LG 360 Cam. The V20 on offer is the 64GB variant, and carries a model number of US996. 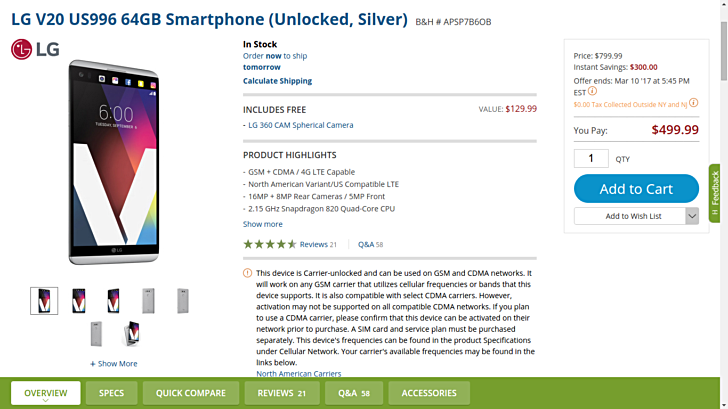 The handset is compatible with AT&T, T-Mobile, as well as Verizon. It's official price is $799.99. The LG 360 Cam, on the other hand, costs $199.99. So in total, the deal saves you $500. The promo ends March 10 (1PM EST). For more information, head to the Source links below.